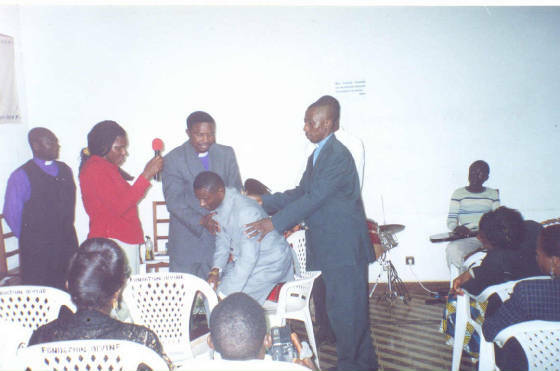 When I was appointed and ordained as the provincial superintendent of Dayspring Ministries International Yaoundé Cameroon, it was not an easy task establishing this great ministry here in Yaoundé. But by God’s grace despite all the difficulties I was facing, I knew deep down in my heart by the Spirit of God, that everything is working for good to bring DMI Cameroon to an expected end. 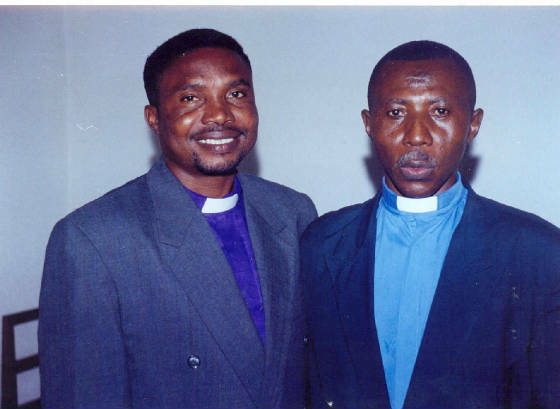 And so, when I was invited by bishop Steven Jones of DMI Ghana in October 2006 as one of the speakers during a prayer summit organized there, I had time to discuss with him on the state of the work here in Cameroon. After the discussion, I agreed with him by the leading of the Holy Spirit on the need for me to come back to Cameroon and organize a three days Revival /Awareness programme here in Yaoundé with him (Bishop Jones) as our guest speaker. 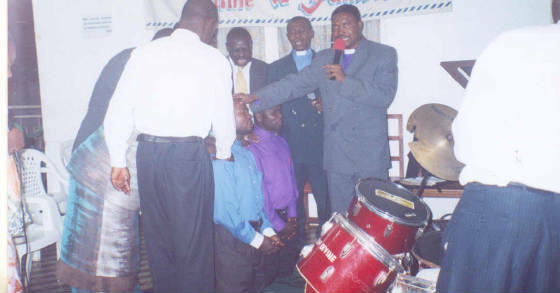 With this vision in mind, I returned from Ghana on the 20th October 2006 and immediately gathered the brethren here and communicated to them what God wants us to do at such a time as this, although we had formerly planned to hold a revival programme to launch DMI in Yaoundé but fail due to certain circumstances. And so, having faith in God, we immediately went into work, holding series of planning meetings towards the programme. Although we had a lot of challenges in the cause of planning, but the Lord helped us to overcome, and the revival meeting started as originally planned. 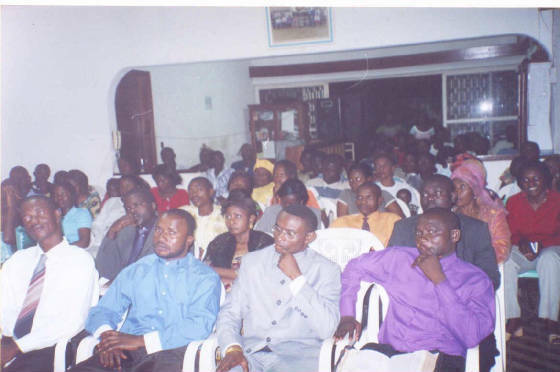 The meeting which took place in the rented hall of Campus Crusade for Christ began with the Holy Spirit imparting a lot of faith and expectation in the hearts of the audience. 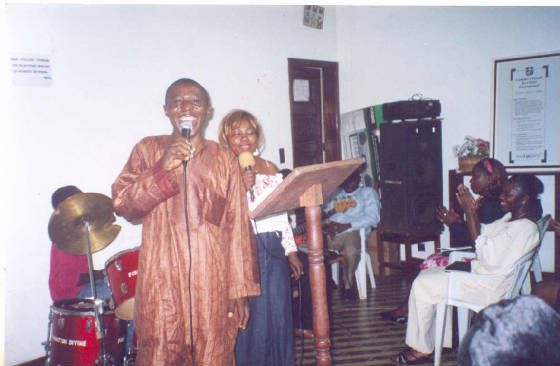 Although the audience were highly expecting to hear what this lovely Ghanaian preacher would tell them, yet there were those who came to listen and test the spirit in the preacher whether he was genuine or fake considering what most of them (Christians) have gone through in the hands of false preachers here in Cameroon. But at the end of the programme everyone who attended came to the conclusion that Bishop Steven Jones was a man full of the Spirit of God and sent by God Himself to revive their lives. When I introduced the man of God and invited him to the pulpit, he didn’t hesitate to go straight into the divine message of God for His people. Today’s message was titles “ILLEGALITIES” and the text was taken from Gen.11:1 – 9. God used the man of God to tell us that the structure which the people built was good but illegal before God. Not every good thing is right. Whatsoever spiritual thing we do that is not right is illegal, no matter how good it may appear in our eyes. The preacher continued by saying that we Christians at times do some good things which we feel are right in our own eyes but before God they are wrong and illegal. Anything that is good but illegal leads to death or destruction (Prov. 16:25, Prov.21:2) . He then proceeded by prophesying that every illegal thing or structure mounted by the enemy in your life shall be pull down today... He later went ahead as led by the Holy Spirit to pray for people with illegalities or illegal things destroying their lives and depriving them from reaching out to possess their divine possession in Christ. During prayer, the whole environment was saturated with the presence of God. 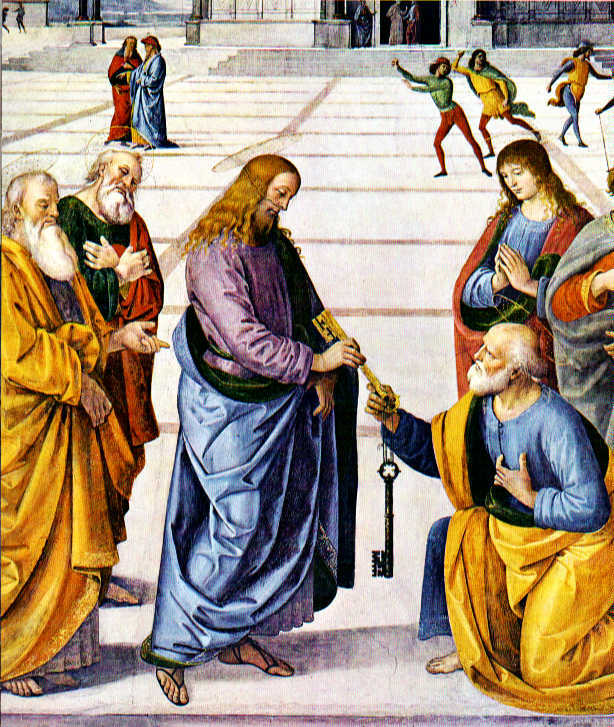 The anointing of the Holy Spirit was so heavy that so many people fell under the power. In the hall, you could hear those touched by the Holy Spirit crying and wailing as the Holy Spirit was fully in motion. 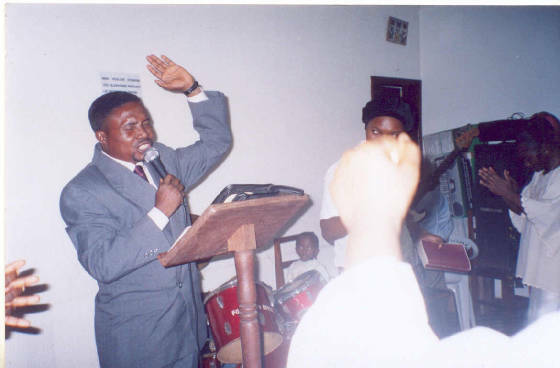 Before the preacher handed back the microphone to the coordinator of the programme , he announced that tomorrow evening is going to be a “liquid fire experience” Those who attended the programme on the opening day went back home fully convinced that they came and received a touch from God and not from the preacher. The second day was pack full of people until there were no more seats for the late comers to sit on. Today’s message was titled; “WHEN HOPE IS LOST” and the scripture text was taken from John. 5: 1- 9. The Lord using the preacher, said: when all hope is lost in your life that is when God steps in to change your situation. The impotent man had no man to help him jump into the pool for his healing, but when the Lord met him, his condition changed. The preacher said Jesus will change your situation and give you hope in the midst of hopelessness. He prophetically declared that next year will be a year of great change in your lives. 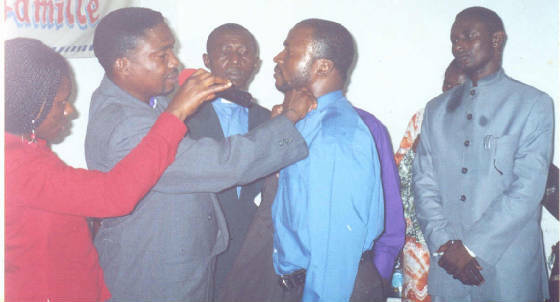 “Some of you ministers here will experience great success in your ministries next year”. There were many other prophetic declarations of change for next year in the cause of preaching. The man of God later ministered to those in hopeless situations. Many also repented from sin and were spiritually revived. The second night meeting ended with people going home very happy for having not been disappointed, but having had an appointment with God. It was really a liquid fire experience! 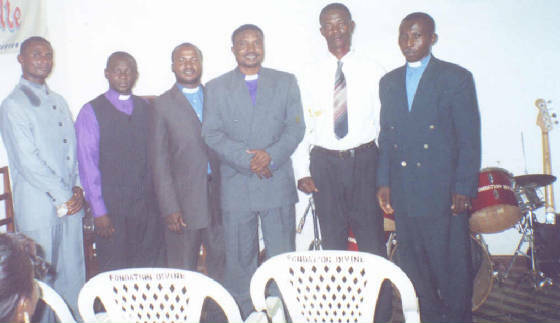 The last day of the programme which was Saturday the 25th of November 2006 was a special day in that it was designated as a day of Awareness and Ordination of ministers. The awareness speech which was longer than what is written here, ended and was immediately followed by the ordination programme. When the procession song was going on, Rev. Joseph led the ordinands through the congregation to the altar of the Lord. Our beloved senior bishop Jones who was the main officiating minister, first of all read and exhorted the fully prepared ministers from 1 Tim. 3: 1 – 7. This was followed by an oath of ordination taken by these happy ministers about to join this great fellowship of DMI ministers. 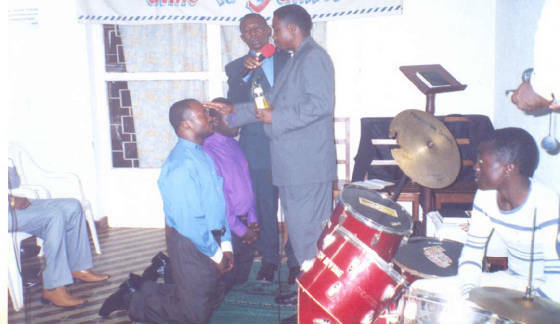 After the laying on of hands and the pouring on of oil for full consecration, they were then enthroned into their office as Reverend Ministers. 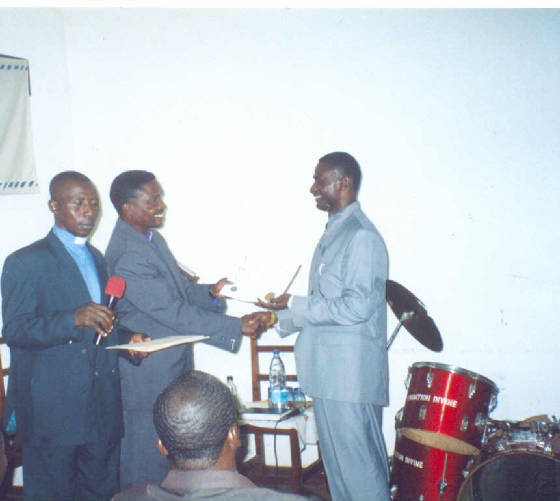 The ceremony ended after the ministers received their ordination certificates as ECC and AACT members respectively. 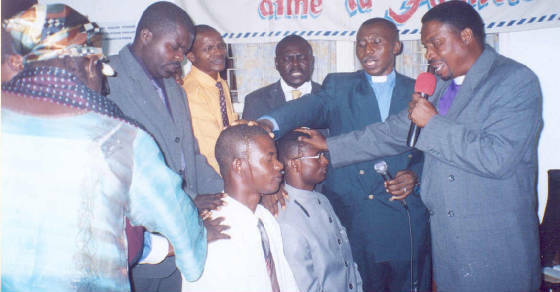 The last day of this first DMI revival /Awareness programme ended here in Yaoundé with God using his servant to lay a strong foundation of ordination in DMI Cameroon which will later serve as an eye opener for many Pentecostal churches here. Bishop Jones also located time to counsel and minister to people individually since from the second day of the revival meeting. 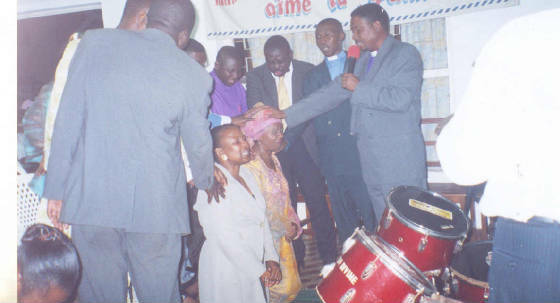 God was bringing great numbers of people daily where he was lodging for face to face counseling and prayers until the last day he was leaving Yaoundé back to Ghana. Thank God for His grace and strength upon his servant for all what he used him to do here. I am so grateful to God for having planned and accomplished this revival and awareness programme here in Yaoundé to His glory. I know this is a journey just begun in DMI Cameron. He who has begun a good work in us will finish it. I thank all of you who supported us with your prayers. May God bless all of you. 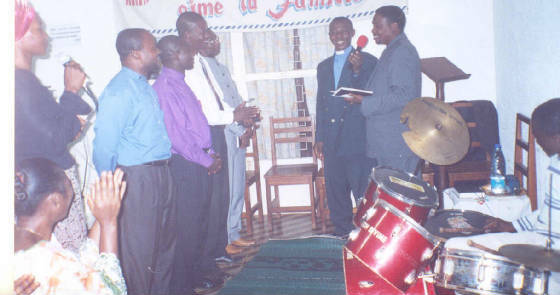 May the Lord mightily reward all the DMI brethren and churches here in Yaoundé who were of great help to us. This special thanks goes to Rev. 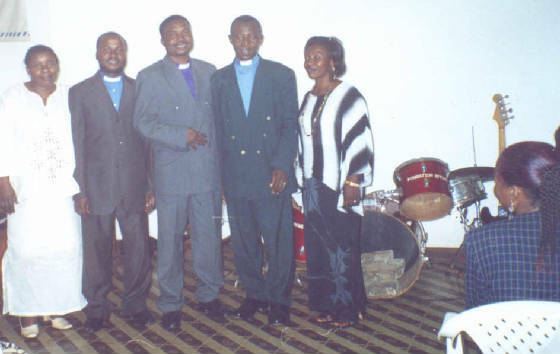 Elvis Eta and all members of Salvation Gospel church International; and Divine Foundation Bible Church. 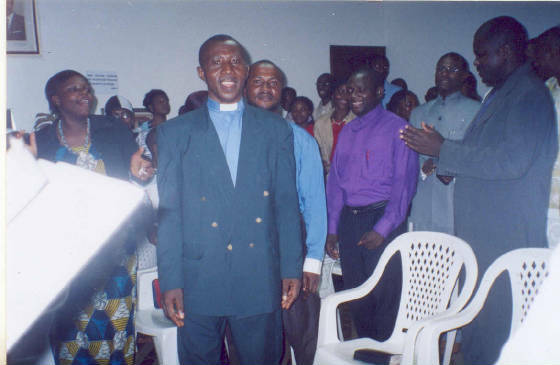 Thanks again to our beloved bishop Steven Jones who paid a great price to come and strengthen DMI Cameroon. You are a mighty instrument in the hands of our master Jesus Christ for the building of DMI Africa. And may this report be of great encouragement and blessing to all DMI ministers.